Provide automatic or manual CML (condition monitoring location) placement on the tank shell, roof and floor. Inspection locations are shown on the tank model in 3D. Include API 653 nozzle assessments. Perform shell out-of-plane settlement evaluations. Perform tank edge settlement evaluations. Perform tank bottom settlement evaluations. Do assessments on floor bulges. 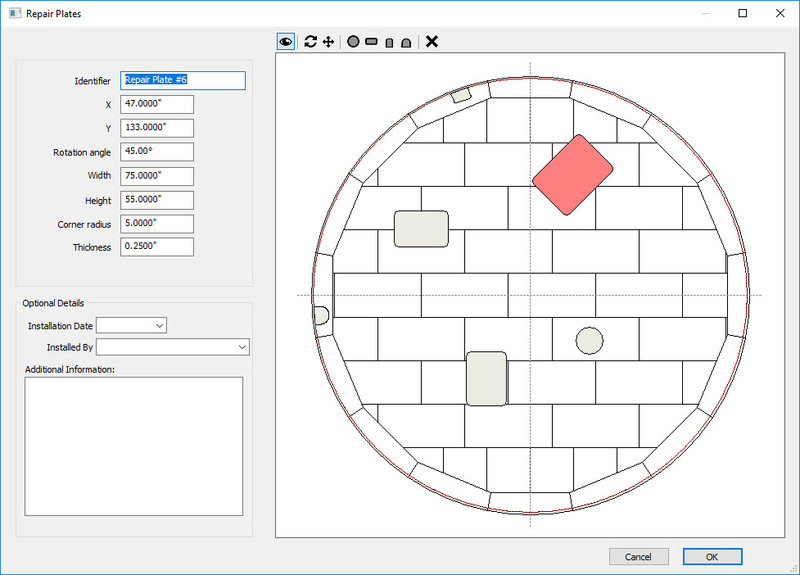 Floor bulge sizes and locations are shown on the 3D tank model. Produce tank MRT (minimum remaining thickness) calculations. Feature built-in, fully user customizable API 653 checklists. Include tank bottom patch plates (repair plates). Include both user defined and safeguard based internal inspection interval options. Ensure your operating procedures limit the risk of brittle fracture by automatically running Part 3 assessments. Address in-service activities such as inspection, remaining life determination and repair. 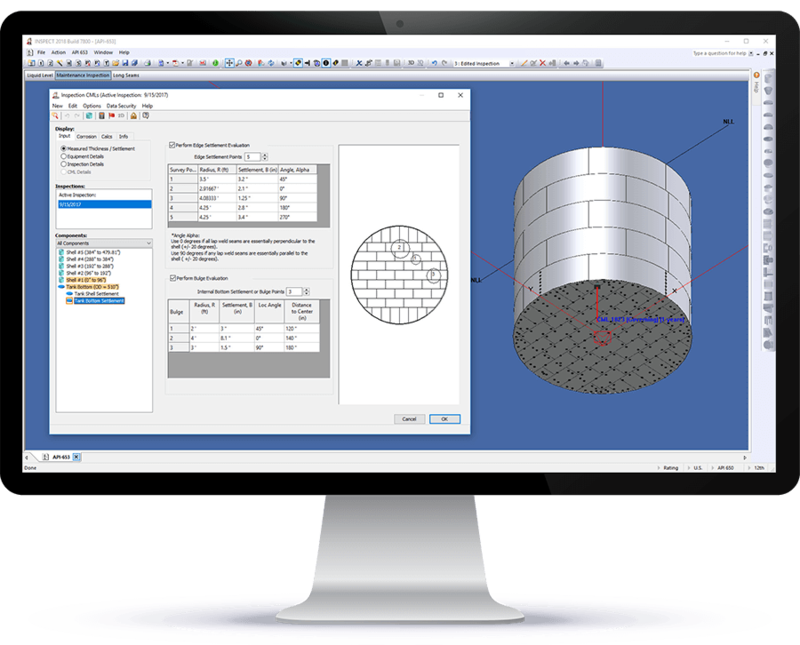 3D inspection data management and calculations simplify compliance with the requirements of the API-570 Code. Track tank thickness inspection measurements and provide calculation reports. Set up and retrieve inspection grids from thickness gages fast and easy. Meet the Mechanical Integrity requirements of OSHA1910.119 (j) and EPA Title 40 part 68.73. Show condition monitoring locations (CML’s) and API 579-1 flaws directly on pressure equipment models.